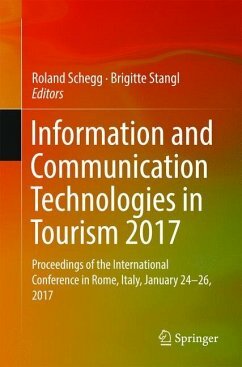 This book presents state-of-the-art research into the application of information and communication technologies to travel and tourism. The range of topics covered is broad, encompassing digital marketing and social media, mobile computing and web design, semantic technologies and recommender systems, augmented and virtual reality, electronic distribution and online travel reviews, MOOC and eLearning, eGovernment, and the sharing economy. There is a particular focus on the development of digital strategies, the impact of big data, and the digital economy. In addition to the description of research advances and innovative ideas, readers will find a number of informative industrial case studies. 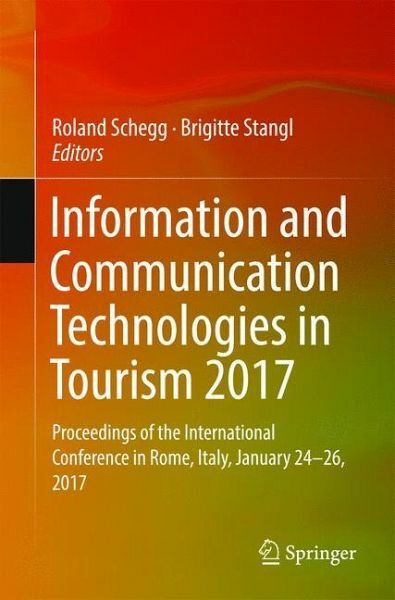 The contents of the book are based on the 2017 ENTER eTourism conference, held in Rome. The volume will be of interest to all academics and practitioners who wish to keep abreast of the latest developments in eTourism. Roland Schegg is a professor at the Institute of Tourism at the University of Applied Sciences and Arts of Western Switzerland/Valais (HES-SO Valais). Between 2000 and 2004 he was with the Ecole Hôtelière de Lausanne (EHL). He earned his BS from the Swiss Federal Institute for Technology (ETH) in Zurich and his PhD from the University of Geneva. His research interests lie in the field of eTourism (online distribution, eService metrics, technology adoption, web 2.0, and mobile technologies in tourism). Brigitte Stangl holds a doctorate (August 2010) and two master's degrees (2006, 2007) from the Vienna University of Economics and Business (WU Vienna). During her studies, she specialized in Tourism and Leisure Studies and Small Business and Entrepreneurship. Between 2006 and 2010, she undertook duties as a Research and Teaching Assistant at the Institute for Tourism and Leisure Studies, WU Vienna. From November 2010 to March 2012, she worked as a project manager at theInstitute for Tourism and Leisure Research, HTW Chur, Switzerland. In May 2012, she joined the School of Hospitality and Tourism Management as a Lecturer in Tourism. Her main research interests are related to e-tourism and lie in the areas of decision support systems, web design, web 2.0, web 3D, and virtual realities. Her research is interdisciplinary, mainly relating to the fields of tourism, marketing, information systems, and psychology. Part I: Recommender Systems and Semantic Web.- Part II: E-strategy and ICT for Innovation.- Part III: Smart Destinations and Big Data.- Part IV: Virtual and Augmented Reality.- Part V: Mobile Services and Wearable Technologies.- Part VI: Online Consumer Behaviour.- Part VII: Consumer Profiling.- Part VIII: eReputation Management and Online Reviews.- Part IX: Social Media.- Part X: Sharing Economy and New Business Models.